From a technical standpoint, live streaming is hard. If you don’t believe me, just watch Mark Zuckerberg try (and fail) as he introduced Facebook Live to the world. This was just another example of a major company struggling with live streaming - something that happens more often than not. But why is live streaming such a problem? According to Akamai Director of Product Enablement, Ian Munford, 500 million viewers will soon be live streaming prime-time sports. With the Rio Olympics just a few months away, it looks like the industry is approaching an iceberg, straight ahead. After all, a record 10.8 million hours of video were consumed on NBC’s digital platforms during the 2014 Sochi games, more than three times the 3 million hours that were streamed during the Vancouver Olympics in 2010. If recent trends hold, the 2016 Olympics streaming stats will blow all previous Olympic streaming records out of the water. Beyond that, if scaling content delivery for live streams is a problem today, imagine how much bigger it will get as the popularity of live streaming continues to grow. Then consider that 4K and VR adoption will only make video streaming delivery harder. Clearly, something is going to need to change. Bill Wheaton, an EVP at Akamai agrees. Scaling delivery is especially difficult for live streams in two different ways, the acquisition pattern and the need to maintain a stream at its peak demand. Unsurprisingly, viewers all try to connect to a stream at approximately the same time: when the event starts. This creates a huge need for high levels of bandwidth and throughput at the same time, much of which is needed to maintain a stream during peak demand. This problem simply hasn’t been fully solved. Just delivering a stream isn’t enough, the stream needs to be a high quality one. That means picture quality and bitrate should be at HD levels, and require little to no buffering and rebuffering. 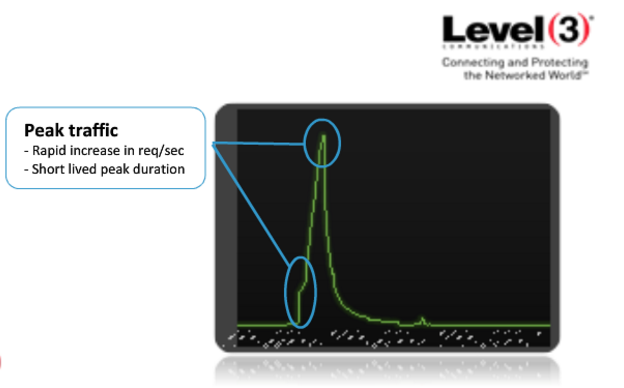 For live events, latency also becomes key as viewers are trying to stream in real-time. 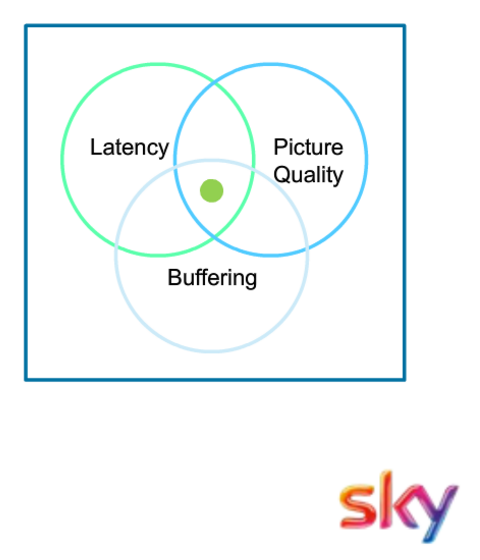 In the past, adding latency to a stream provided publishers with more stability, but this practice has become less and less acceptable to viewers. Of course, any issues with stream quality and you risk losing your viewers. Broadcasting high quality live streams requires a tremendous amount of reliability, frequently provided by increasing capacity and redundancy. With the number of concurrent viewers for popular live streams today, this means using multi-CDN approach. A multi-CDN architecture provides significantly increased capacity and redundancy. This seems to be the best way to deliver live streams. In fact, redundancy is so important that some broadcasters try to build some into other areas of the stream too. For example, some publishers use a multi-DRM approach to make sure viewers don’t get error messages before even getting to their stream. Remember, if even the smallest thing goes wrong, it can impact all of your viewers. Redundancy is the best policy. Technical problems in any of the numerous steps it takes to create and deliver live content can cause an entire stream to struggle. The increase in connected devices has not made this any easier. There was a time when most streaming was done on a computer, using one or two browsers that monopolized the market. Today, however, publishers need to support numerous browsers and devices including a plethora of smartphones, tablets, smart tvs and apps. Each of these streaming mediums are built on top of different technologies and require specific capabilities. Among other things, this has led to individual streams being delivered using a variety of different streaming protocols. Other new protocols, like multi-casting, can significantly improve streams but also add another layer of technical complexity. Multi-CDN and peer-to-peer (p2p) approaches have become popular, and rightly so, because they add significant redundancy and can improve stream quality but, also add another layer. Though live streaming technologies are improving, the system will likely remain fractured. As cable cutting continues and demand for live content grows, expect to see error messages where you had hoped to see live streams. Unfortunately, this is already all too common. The one thing that is certain is that the streaming industry needs fundamentally new solutions to overcome the difficulties it’s facing. Currently, p2p content delivery seems to be a leading candidate to be one of these technologies. P2P can be hugely helpful with scaling, provides needed redundancy and can improve stream quality, without adding latency. Thanks in part to WebRTC, adding p2p to a stable streaming architecture can also be done without significantly expanding an architecture’s technological complexity. Other improvements, including new encoding and compression developments, will also play a role in the future of streaming. Live streaming is hard. Maybe together, we can make it better. Peer5’s Serverless CDN supports massively-scaled live and on demand video streaming. As the demand for ever increasing amounts of delivery capacity continues, no single CDN is able to provide all of the capacity, features, geographic coverage and uptime that broadcasters need. Hence, the growing momentum behind a multi-CDN architecture and the load-balancing, redundancy and feature completeness advantages that this approach affords. Our novel peer-to-peer (p2p) solution solves the peak demand problem by creating a network that actually gets stronger as viewership increases. This means that we perform our best at the exact moment when traditional CDNs struggle the most – making Peer5 the perfect complement to a broadcaster’s existing CDN infrastructure. Try Peer5’s CDN by registering for your free trial here.